If your Amazon niche site is based on WordPress (recommended), you can get a whole lot of extra functionalities without too much extra work by incorporating WordPress plugins into your site. By relying on some of the top-notch plugins discussed below, you won’t have to do as much coding yourself (or hire a developer) to add extra functionality to your site. 1 How To Install Multiple Plugin At A Time? In WordPress, a new requirement means just a new plugin. And the best part is, you will find plugins to fulfill almost any of your requirements. For all of my niche websites, I depend on the following WordPress plugins described below. One of the biggest appeals of WordPress is that a lot of the under the hood SEO work is done for you, but by adding this simple plugin by Yoast, you can boost your SEO presence into over drive. This plugin has everything you need to help your Amazon niche site rank higher in search results, which is hugely important if you want to see your site turn profitable. If you are looking for one flexible and powerful app that will boost almost all elements of your WordPress Amazon niche site, the JetPack plugin is a great place to start. JetPack offers customization, mobile optimization, content creation tools, and more, all while helping you boost security, up audience engagement, and bulk up your overall site performance. Install this plugin to see all that it can do. Here is a great resource from WPSynthesis on why you should use JetPack plugin. You have better things to do than weed through spam, and Akismet can do this for you to keep your Amazon niche site spammer free. This plugin boasts constant real-time evolution, so it will constantly be learning new things about how people spam and incorporating this learning into its’ spam protection. This is the last anti-spam plugin you will ever have to activate (you don’t need to install it separately as Akismet comes by default with every WordPress install), as it is incredibly adept at protecting against future spam threats and the latest spam tactics. You need to get an API key to activate Akismet properly. Getting affiliate links from Amazon Affiliate Dashboard is a complicated process. EasyAzon comes to make the complicated process super easy. Using the plugin, you can create Amazon affiliate links from within your WordPress post editor. You can create text affiliate links direct to any product from Amazon. It saves you time, as well as makes you more money by giving you the option to localize links. You need to buy EasyAzon to get maximum from the plugin has to offer. With Pro, you can insert any types of links, including text links, images links and CTA buttons. With its’ link localization feature, you can earn money from other countries out of US. Whenever a visitor from UK clicks on your Affiliate link, EasyAzon will redirect them to the UK version of Amazon instead of sending all visitors to default US version. 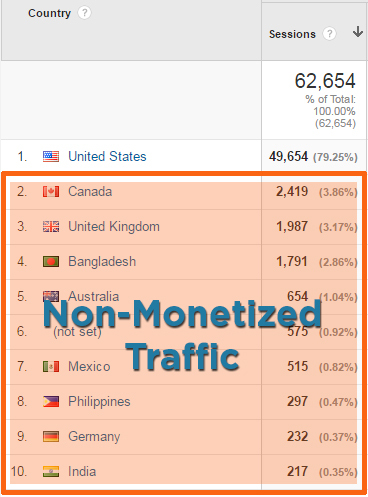 The feature will help you making more money (to be exact, EVEN DOUBLE) as you can monetize all of your traffic around the globe. Even if your site is stable and secure, things can ALWAYS go wrong, which is why having a backup of your Amazon niche site is absolutely essential. This plugin backs up your entire site to Dropbox for you automatically, so you never have to worry about the worst case scenario of losing everything you’ve built. Dropbox is 100% trustworthy, and this app turns the storage stalwart into the perfect cloud backup platform. If your site gets hacked, or any other problem occurred, you can always get your website backup from Dropbox and restore it to your server again. While you need to keep a lot of technical elements in mind when building your Amazon niche site, you shouldn’t forget site speed, and this plugin does a whole lot to make your site more faster. By caching every element of your WordPress site, this plugin helps your material load faster, so your visitors don’t have to wait as long for elements to display. Liudas from Easym6.com, Denisa Cinca from MyBloggingThing, John Romaine from WorksMedia and thousands of bloggers like me increased site speed incredibly using the plugin, even upto 10x! As site speed matters for Google ranking, you can’t afford to ignore the issue. How you got access to this plugin name? Simply by sharing the post on your social profile! Most users don’t mind sharing content that they like, and only don’t because they forget or don’t think about it. Social Locker helps them remember, by requiring social media interaction. You can’t change a system just from guess, right? Nathan Goth from GothSEO already proved that it works. If you have a sidebar widget that is absolutely necessary for the user experience, you should consider grabbing this plugin to more easily “lock” that widget in place. Locked widgets will remain on your visitor’s screens even as they scroll, so that they can peruse all of the content on your pages and still see your preferred widgets on their side bar. This tool is invaluable for Amazon niche sites, as you can put links and other direct marketing materials [like list of top recommended products, banners for a specific products to focus] in your locked widgets. With this plugin, your loyal readers will get in “in-content” reminder to share out your articles and posts on twitter, as you can design and place effective “click to tweet” buttons throughout your Amazon niche site’s content. Instead of just leaving your media buttons on the top and bottom of posts, this plugin incorporates “click to tweet” calls to action right in your content for increased efficacy. This helps getting huge content promotion across the social channels of your readers. If you don’t have the time to explore a lot of WordPress plugins, but are looking for well-rounded growth tools for your Amazon niche site, SumoMe is a good one stop shop. The site offers tools to help you build email lists, see what aspects of your site users are interacting with the most, and generate more attention for your posts on social media. Just like how the “Click To Tweet” plugin made it a whole lot easier to incorporate twitter buttons into your content, this plugin will let you optimize your Amazon niche site for Pinterest shares with well place “pin it” buttons. You can customize where buttons appear, and even attach them to images directly so user see a “pin it” call to action when hovering over your site’s pictures. Note: If you use SumoMe Image Sharer button, you don’t need to use this plugin as SumoMe Image Sharer already have this plugin’s functionality inbuilt. If you are serious about managing your site’s SEO presence, keeping an eye on the outbound links is absolutely essential. Lot of ‘DoFollow’ affiliate links harms Google ranking of a site. With this plugin, you can quickly blacklist all of the affiliate links on your niche site or a specific site links to be marked “nofollow,” making it easy to manage your outbound links. 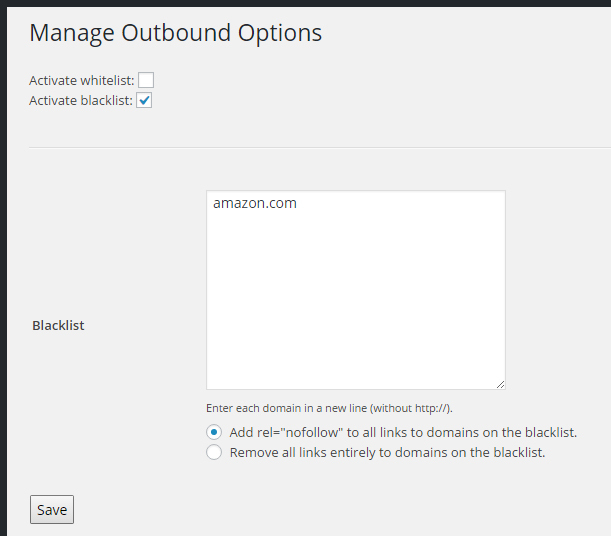 For all of my niche sites, I blacklist Amazon.com links using Outbound Link Manager and the plugin makes all of my amazon affiliate links ‘nofollow’ of its own. Some WordPress plugins and Themes by default offer social share button options, but they aren’t necessarily placed too well or optimized to catch your visitors’ eyes. With Floating Social Bar, you can set up a horizontal floating social bar that includes share buttons to some of the most popular social networks in a super eye catching way. This plugin is also incredibly lightweight, and won’t slow down your site at all. But this is undoubtedly one of the best ones around, with multiple form support, a lot of customizability, and the ability to incorporate popular elements like captchas and other security functions into your contact forms. As ‘Contact’ page is mandatory for every niche website, why shouldn’t you make it more professional by incorporating Contact Form 7 into your site? Well-designed tables can be a great way to organize your content in a reader friendly manner (mainly for the readers who love to see comparison table), but they can also involve a lot of coding and can get real messy real quick. But with the TablePress plugin, your Amazon niche site can be positively overflowing with tables and you won’t have to do any coding if you don’t want to. This plugin even allows you to incorporate formulas into your tables, for a powerful spreadsheet like experience. Comparison Table on niche site incredibly increase conversion rate and I use TablePress in most of sites to create beautiful comparison that my readers love. I used Shortcode Ultimate Table Creator for some of my niche sites, and works great as well! The plugin has a lot of functionalities to offer. Just like how SumoMe offers a lot of powerful tools to bulk up your site, Thrive is a multi-faceted platform that helps you build better marketing pages. Thrive Content Builder makes it easy and fast to create content right inside of your website, without needing an external editor or knowing to design and code. Thrive Leads helps you build a mailing list efficiently and effectively. 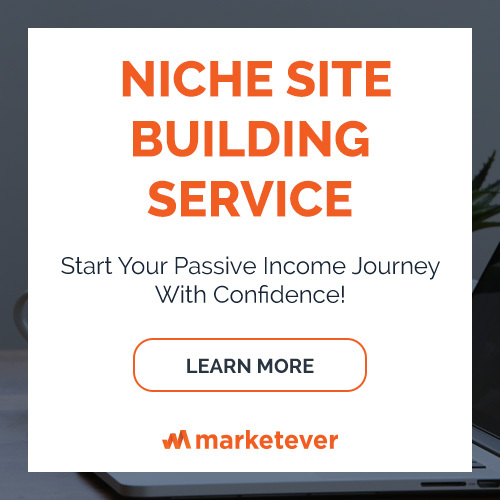 If you want to make your niche website really scalable and make money from the site seriously in the long run, incorporate Thrive Content Builder and Thrive Leads into your site. Thrive plugins incredibly increase conversion rate of niche sites. Check out Thrive for a lot of marketing based plugin options. So here is the final list of plugins you need to install on your Amazon niche site. How To Install Multiple Plugin At A Time? All of these plugins are extremely helpful in turning your Amazon niche site into a profitable endeavor, but if you download and install them all separately, you’ll be spending a whole lot of time getting yourself started. If you are like me, work on dozens of website at a time, installing these plugins one by one is really a hectic task. While doing the installations manually a couple of weeks ago, I came to realize that I need a solution which will allow me to install the plugins easily. And found Multi Plugin Installer with a quick research. With the Multi Plugin Installer, you can install as many plugins as you like to your WordPress site all at once, saving you the time of installing each of the plugins above separately. Plus, the Multi Plugin Installer backs up your plugins automatically, and helps make your installation process more secure. Did I miss any plugin? I try to use fewer plugin to make the site more faster, and included only important list of plugins of this article. If you want to include any plugin on the list, let me know leaving a comment.I would love to test them on my niche site, and will add the plugin on the list if I see its adding value to my business. I find Shortcode Ultimate Table creator better than TablePress to create comparison table. and Haven’t used any Thrive Product before, planning to buy, implement and see the result. 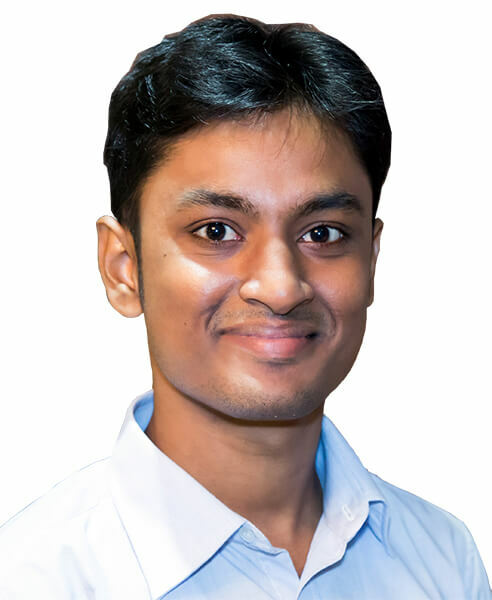 I use Shortcode Ultimate Table option to create comparison table to some of my niche sites, and I mentioned that in my post. I must say, Shortcode Ultimate has a lot more feature to offer. This is my first time of hearing about Shortcode Ultimate Table creator, I’ve always used TablePress for all my comparison tables and its really awesome. Will check out Shortcode Ultimate Table creator though, i might eventually switch to it if i find it better. Somehow, the plugins you used on your site will also determine its success/failure. This is why its very advisable to be mindful of the ones you use. All the ones you mentioned here are indeed needed, anything more than this becomes too much and might slow down your site. I’m glad that you loved the post, Theodore! I am searching just like this post. Thanks for your support. Thank you for sharing these plug-ins. I have a few questions though. First of all, Outbound Link Manager is not updating for around 2 years now. should we use it in our updated WP setup (though it looks like very handy one). Secondly, you suggest Floating Social Bar, but I beleave you are using Digg Digg for this blog. And Digg Digg also not updated for more than 2 years. Now can we use Digg Digg instead of Floating Social Bar? Lastly, Thank you again for this wonderful post. This is simply awesome man. I am just starting with the affiliate and landed by searching the plugins for amazon niche site. Any guide for creating backlinks for amazon niche site? wordpress.org says the Outbound Link Manager plugin hasn’t been updated for the last two years. Does it still work and is it safe? Any other similar updated plugins? Thanks for sharing an awesome content.I have currently used ‘Ninja Form’ for creating contact form.Is Contact Form 7 is better that Ninja From? Need your suggestion. Yeah, well, Yoast Seo is good but i think, you should also add All in Seo pack plugin, because it’s the best seo plugin i ever seen in the last few years. All the plugin recommeded in this post are really useful but one must keep in mind before start installing one by one or as a whole to their niche site that intalling too many plugins in a wordpress site depreciate the page speed and overall performance of a site. So, just wisely consider the plugins which you really need in your site, only install those. If you can manage with 5 to 6 plugins just go ahead with those only. Remeber less plugin means more speed. Thanks. Oh thanks for this post, this is what exactly I was searching for…appreciated!